The European Parliament continues to celebrate Italy’s agriculture and food industry, following Bloomberg’s article that found Italy as the world’s healthiest country, due in part to the so-called Mediterranean Diet. 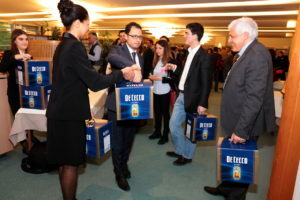 After a first event in Strasbourg organized by Federalimentare and Coldiretti to present Bloomberg‘s findings earlier this month, the discussions continued this week during the Parliament’s plenary session in Brussels where De Cecco presented the benefits of its pasta and pasta making traditions. The afternoon meeting focused on the importance of Italy’s food habits and diet, a sensitive topic for Italy linked to food labelling debates, and placed Italian food in the spotlight of Europe and beyond. The session was opened by the vice-president of the European Parliament David Sassoli, followed by speeches from the vice-president of the committee on agriculture Paolo De Castro, Vincenzo Villani from De Cecco and Paul O’Connors, a member of NCTM, a food industry law firm. Villani, director of De Cecco’s Quality Control, restated the healthy and even cultural qualities of his products “The scientific world has well documented the characteristics of high quality pasta, which is the synthesis of our pasta” Villani said at the event. 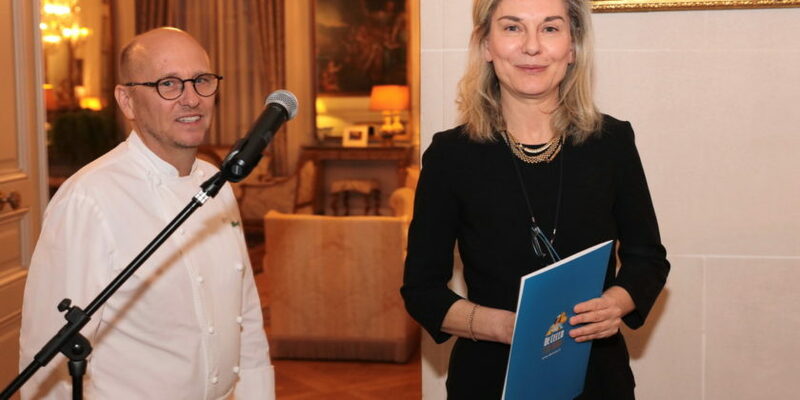 The second part of the day was highlighted by a dinner offered by De Cecco and prepared by the three star Michelin chef Heinz Beck, at the residence of the Ambassador of Italy in Belgium, Elena Basile. Guests included the Italian ambassador to the EU Maurizio Massari and other “Mediterranean” ambassadors from Portugal, Antonio Alves Machado, Spain, Juan Aristegui Laborde , Malta , Ray Azzopardi and a number of MEPS such as Renata Briano, Paolo De Castro, Lorenzo Cesa, Luigi Morgano, Patrizia Toia ed Elisabetta Gardini.